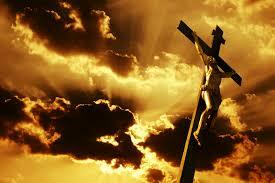 We Adore You O Christ and we praise You, because by Your Holy Cross You have redeemed the world! Today we celebrate in the Church the Exaltation of the Holy Cross of Christ and truly for each one of us as Christians, we exalt the Cross when we freely take it up. I am strengthened in my faith when I meet people (and I have met many) who joyfully embrace the crosses in their life. Surely it’s easy to rationalize this kind of attitude and disposition as the “power of positive thinking”. Positive thinking may help us in the short term, but what I am talking about is actually so much deeper and very life-giving. Fr. Paschal, my mentor and very close friend was certainly a joyful priest and a great model and guide for me. He was joyful in life as he told stories and jokes, and reflected in a positive manner on his many years of service to the Church (40 as a religious brother, 26 as a priest…most of those years spent as a Vocation Director). The Lord gave me the grace to be with my friend near the very end of his life. Fr. Paschal never lost his joy in the midst of his sufferings and even on that very last day as we sat and had a most pleasant and joy-filled conversations, I asked Fr. Paschal if he was okay and needed anything, I remember his words: “I’m going to miss our chats, but I’m really excited to meet the Lord”. When I had a chance later to reflect, I also remember Fr. Paschal telling me he wasn’t afraid of death, the crown of our faith comes after that. And then in his last moment of earthly consciousness, barely able to speak and unable to do it for himself, Fr. Paschal asked me to help him make the sign of the cross. He stepped out of this world having embraced his cross and was joy-filled to meet the Lord at His. This story I share with you is one of a multitude of stories of very beautiful experiences which may not seem so in the moment, but when we take time to reflect upon them after the storm we see the beauty and powerful witness they provide us with afterwards, and they help us. Although, if I am going to be honest, I am not looking forward to my own sufferings and ‘crosses’, when I see the strength of faith in those who do and how they draw ever so much closer to the Lord in the midst of these experiences – it gives me some peace. We know that Jesus’ own suffering on the cross was so horrible, graphic, brutal and unimaginable that very few remained with them. We know for many it was a weak moment of their faith, but thanks be to God we had the two Marys and John there to offer us something to ponder, because when these strong Christian witnesses share their experience (just as our brothers and sisters who suffer too do) we are made ever stronger in how we are commit to exalt the Cross in our own lives. May God bless you.